Egyptians couldn’t be worse off under the Muslim Brotherhood than they are under Mubarak – and the Brotherhood may well neither form a single party government, nor be extreme in government. They are not the only opposition in Egypt either – Mubarak has targeted trade unionists for opposing him – and was so afraid of Ayman Nour - a liberal candidate in the last (rigged) Presidential elections he had him jailed to ensure he couldn’t win the election. The widespread view that Egyptians might be worse off if Mubarak’s dictatorship is overthrown and the Muslim Brotherhood come to power is misplaced. Reports by Human Rights Watch and Amnesty International show that under Mubarak for 30 years the Egyptian people have been jailed without trial, tortured by beatings, electric shocks and sexual violence. The victims include many children (3) – (4). So even if the Muslim Brotherhood were to come to power in Egypt and turn into a Sunni equivalent of Iran’s semi-theocratic government, Egyptians would be no worse off than they have been under dictatorship – just as Iranians are no worse off (though little better off) under the semi-theocracy they have now than they were under the Shah’s dictatorship – and Mubarak’s past actions show he sees liberals and trade unionists as just as much a threat to his rule as the Muslim Brotherhood. Propping up Mubarak’s dictatorship will not make it less likely that they will come to power either – just as President Carter backing the Shah’s dictatorship in Iran in 1979 to the last moment did not prevent Khomeini coming to power (5) – (6). 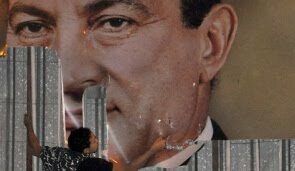 In fact a peaceful transition to democracy, with Mubarak persuaded to step down, would make it less likely that any one faction or party could exclude others from Egyptian politics. Both Professor Fawaz A. Gerges in his book ‘The Far Enemy’ and ‘Self Inflicted Wounds’, a report produced for the US military, found that the Muslim Brotherhood and other Islamic political parties are enemies of Al Qa’ida and other Jihadist terrorist groups, who consider them to be apostates for taking part in what the Jihadists see as the western system of political parties and elections (7) – (9). The same sources found that the Brotherhood broke with the extreme teachings of Qtub long ago (10). Other Islamic parties elected to power around the world have shown themselves to be no friends of Al Qa’ida and not nearly so extreme as the Taliban. Hamas after winning the 2006 Palestinian legislative elections have fought gun battles against allies of Al Qa’ida in the Gaza strip (11). The AKP Islamic party government in Turkey has won two elections, governed for 8 years, continued to hold free and fair elections and accept their results even when it lost many seats in local elections ; and has been no more extreme than European Christian Democrat parties. After Al Qa’ida bombed the British consulate and banks in Turkey, the AKP government arrested, tried and jailed those responsible (12) – (14). Even the Afghan Taliban has distanced itself from Al Qa’ida after the latter brought a US invasion down on their heads (15). 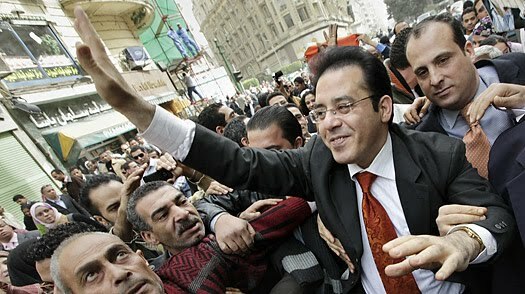 No doubt the Brotherhood would be a major political force in Egypt after Mubarak. There is no way to know whether they would win elections as the sole governing party, by part of a governing coalition or become the main opposition party – but that is because many Egyptians support them. Propping up dictatorships has only strengthened fundamentalist parties and much worse terrorist groups. If we want to weaken Al Qa’ida and reduce fundamentalism then allowing a transition to democracy in Arab countries is the way forward. The Brotherhood are not the only political force in Egypt either. There are socialists, trade unions, liberals, greens and even conservatives and nationalists who oppose the dictatorship (16) – (18). In the last Egyptian Presidential elections (rigged as usual) in 2005 the candidate Mubarak feared most was not the Muslim Brotherhood’s (which he banned), but Ayman Nour of the liberal El Ghad party, who he had jailed during the election and then tried and convicted on trumped up charges after it, to ensure he couldn’t lose the election to him (19) – (22). All these groups, along with the Brotherhood, have accepted former UN IAEA head Mohamed El Baradei, a liberal rather than an Islamic fundamentalist, as the chief spokesperson for all of them (23). 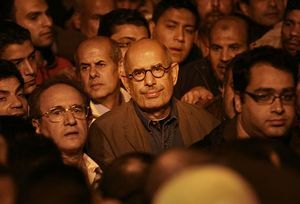 So, whether Helbawy means what he says or not, if the worst case scenario happens and the Brotherhood take power in Egypt, Egyptians will no worse off than they were under Mubarak – and the worst case scenario may not happen – they may end up much better off in a democratic system that includes the Brotherhood as one political party among many. The Brotherhood are also criticised for the threat they supposedly pose to Israel and their links to Hamas, whose armed wing has been involved in terrorism against Israeli civilians. The problem with this argument is that Mubarak has links to the Israeli government, which is involved in ordering and authorising the killing of Palestinian civilians on a daily basis (26) – (30). The US government both funds much of the Israeli occupation and has been involved in it’s own war crimes including targeting civilians in Iraq and Afghanistan (31) – (32). So the Brotherhood’s critics really don’t have a leg to stand on on this issue – if it was close to Hamas it would be doing nothing they themselves don’t do on a larger scale.